Washington, D.C. and Seattle– Van Ness Feldman is pleased to announce that this year over half of the firm’s partners have been selected for inclusion in The Best Lawyers in America® 2017 (Copyright 2016 by Woodward/White, Inc., of Aiken, S.C.). 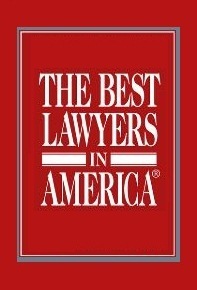 This year’s honorees are ranked in the following practice areas: Energy, Energy-Regulatory, Environmental, Government Relations, Land Use and Zoning Law, Litigation - Environmental, Litigation – Land Use and Zoning, Litigation – Real Estate, Native American, Natural Resources, Oil and Gas, Real Estate, Transportation, Utility and Water Law. With over 100 professionals in Washington, DC and Seattle, WA, Van Ness Feldman is a nationally recognized law firm focused on law and policy relating to energy, the environment, natural resources, land use, and real estate. The firm helps a broad, national range of clients successfully navigate the complexities of developing, maintaining, and operating natural resource, energy, infrastructure, and sustainable real estate projects.